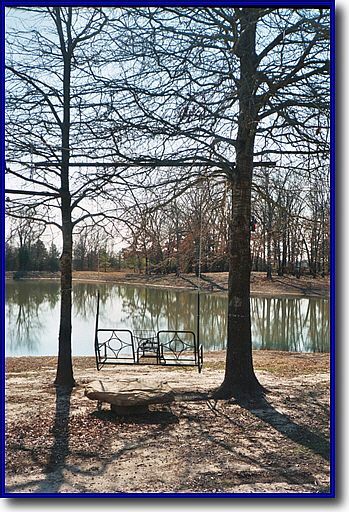 When should you build a fishing pond or recreation lake and how do I get a pond or lake built? Get started building your pond or lake today because people and animals can only last a few days without water and we are fast getting to the point water is becoming a valuable and desirable asset for any property. Water supply is an issue on almost every municipality’s agenda and just who owns the water is quickly becoming a hot topic of discussion. Just ask those land owners in California, Nevada or Arizona what a key issue fresh water is. Government control of water is increasing so if you wish to build a pond or lake on your property you had best get started before the ability for an individual to build a lake or pond is legislated away. 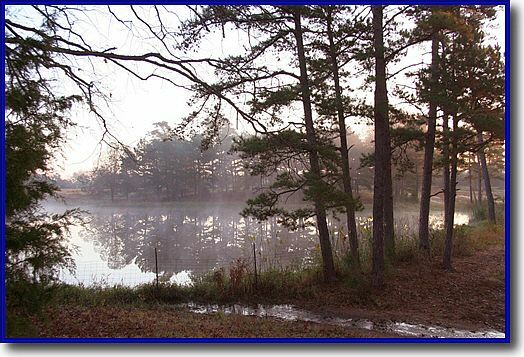 Property with an existing pond or lake will be quite valuable if government restricts pond and lake construction or if water rights become more difficult to obtain. The economy and social unrest concern many people living in urban areas. In the event of the disruption of public services and social upheaval, you may plan to retreat to your private property to ride out the dangerous events occurring in heavily populated areas. A water reservoir in place and ready to provide a potable water source will be a crucial asset necessary for basic survival. The end game is that you cannot survive without water. It doesn’t matter who you are or how much money you have. Getting the pond built is the hard part because in most cases Mother Nature did not lay things out to be easy. Soil types are generally random and constantly changing so you need a savvy excavation contractor with years of successful and verifiable experience. In most areas there is little to no testing or licensing for earthmoving equipment operators. Consequently, most anyone can climb into the seat and say that they are a pond or lake builder. If your soils are good (will hold water) and consistent (do not vary sand, clay, rock etc.) anybody can dig a hole in the ground and make it hold water. Unfortunately, Mother Nature made these types of soils available about 50% of the time. If your soils are not good and consistent your chances of a successful project fall to about 50%. If you desire something more than just a “hole in the ground” your chances with the local dirt contractors are almost zero. So as the consumer how do you find a qualified earthmoving contractor? Word of mouth is a good start but beware of the local “good ole boy” system in small towns. As someone from out of town you might be considered “fair game” by the locals and get taken advantage of. The internet is a good source of information and be prepared to pay a qualified contractor to travel a distance to your site to render an opinion of the project. I always suggest an onsite consultation as the first step. I also prefer to come in after you have spoken to you local dozer operator. I routinely discover the local guys will say just about anything to get the job. Ask for references in writing from the present to at least two years back. Call the references. A successful contractor will own (not rent or lease) their equipment and the equipment will be late model, no more than ten years old. The contractor will perform most of the work themselves (no subcontractors) and will be on site at least 90% of the time while work is taking place. **Be very wary of the contractor that subs their work out to others and just stops by occasionally to check the job. ** This contractor is profit oriented and may not have your best interests in mind. Be almost as wary of the contractor that does not stay on the job site because they have a “qualified” foreman on the job. You need someone with a vested interest in the project on the job site almost all of the time in order to solve most of the problems before they ever happen. The alternative is quite possibly a failed project that you as the client will not know about until well after everyone associated with the project is paid and long gone. It is easy to cover fatal design mistakes with a thin veneer of dirt. At this point your choices may be pretty slim as only a few contractors will pass these requirements and most likely they will have a backlog of work on their schedule. This sounds like a lot of work and it is worth it. A pond or lake built right the first time will never have to be done again and will get better with age. A pond or lake NOT built correctly will haunt you forever or until you fix it. Unfortunately fixing the problem can be quite expensive and the hassle and lost time is even worse. Sometimes a project cannot be fixed without starting over from scratch which means that you lose 100% of the money spent on the project initially. What are the keys in building a successful fishing pond or recreation lake? Plan and be willing to spend some money doing the planning. Proper planning is crucial to starting a successful project. Find a good contractor and be willing to pay them accordingly. Someone that works cheap is probably cutting corners that can cause you problems forever. Budget for the average worst case scenario for whatever it takes to do it right the first time. If you cannot afford this approach, size the project down to fit your budget or do not build the project at all. Do not get in a hurry especially if aesthetics are one of your primary goals. A dynamic finished product is a visual process of making all of the pieces fit and that takes time. Although expensive to build, a pond or lake on your property will bring you years of great memories and security, not to mention increasing your property values. Some people realize sooner than others that time is the only finite resource and that it will be next year next year, no matter what you do this year. I have had many clients over the years and not a one of them have ever regretted building their pond or lake when they did. Many of them however have regretted not building a pond or lake sooner. Get started on your project today by contacting Nick Jones at Soilmovers LLC.